All the equipment needed for use with the Turbo Air Still. 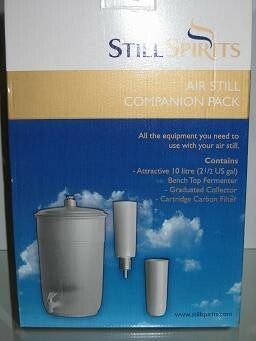 Includes: 2.5 gallon plastic fermenter bucket and tap fermenter lid with air filter collector for measuring distillate from Air Still filter for purifying water etc. no-rinse sterilizer sachet. Detailed color instructions included. Ingredient pack sold separately.